-Paplebon has left Boston for good. The Boston Red Sox are a professional baseball team based in Boston, Massachusetts. From 1912 to the present, the Red Sox have played in Fenway Park. The "Red Sox" name originates from the iconic uniform feature. Most fans simply refer to them as the Sox. It is one of the American League's eight charter franchises. The club was founded in Boston in 1901. They were known as the Boston Americans and played at Huntington Avenue Grounds. The team won its fifth World Series, and then went into one of the longest championship droughts in baseball history. 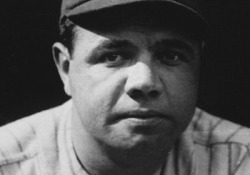 Many attributed the phenomenon to the "Curse of the Bambino" said to have been caused by the trade of Babe Ruth to the New York Yankees in 1920. The drought was ended, and the "curse" reversed in 2004, when the team won their sixth World Series Championship. The Red Sox lead all MLB teams in average road attendance, while the small capacity of Fenway causes them to rank 11th in home attendance. Every home game since May 15, 2003 has been sold out—a span of over eight years. No more believing in curses start believing in reality and how the best 20th century team has dominated these past years. The Babe will no longer haunt boston's players and beloved field Fenway Park, because of one awful trade with the Yankees. After Roberts stole second in a game that could have ment elimination for the Red Sox the curse was reversed and Boston took the AFC championship and later took the World series for the first time in 86 years.